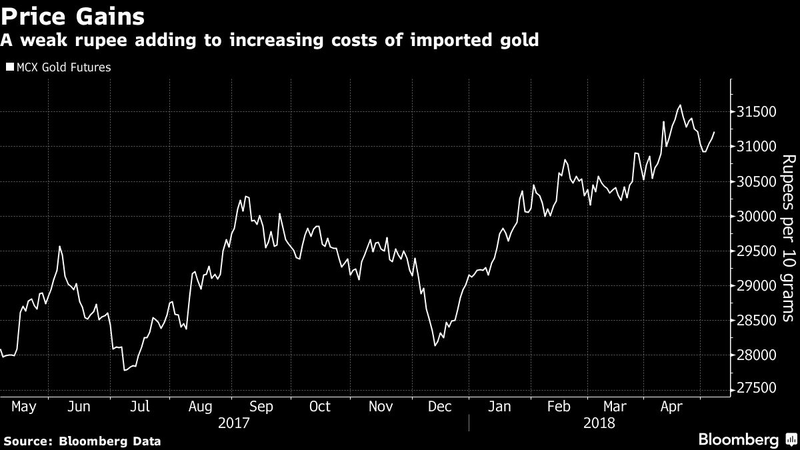 (Bloomberg) — Gold imports by India, which vies with China as the biggest consumer, declined in April, according to a person familiar with the information, falling for a fourth month amid lackluster sales. Overseas purchases dropped 46 percent to 52.7 metric tons last month from a year earlier, the person said, asking not to be identified as the figures aren’t public. Imports in the first four months totaled 211.7 tons, a drop of 43 percent from a year ago, data collated by Bloomberg show. Finance Ministry spokesman D.S. Malik didn’t answer calls made to his mobile phone. 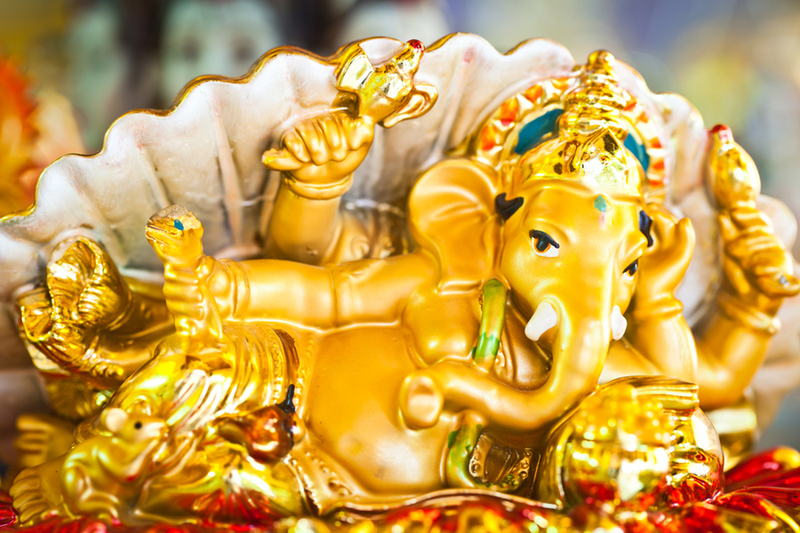 Rising prices have taken the sheen off gold demand in India, with sales last month during a key auspicious Hindu festival — Akshaya Tritiya — remaining subdued. A depreciating rupee has magnified gains in international markets, leading to the third-weakest quarter for jewelry demand during January-March in the past decade, the World Gold Council has said. The steady increase in costs coupled with supply-side concerns over tighter credit to jewelers after a bank fraud will keep jewelry demand growth at 2 percent to 4 percent this year, compared to an advance of 12 percent in 2017, according to ICRA Ltd., the local arm of Moody’s Investors Service.